Ladybugs are landing all over! This time, in a good way not the bugy, yucky way we remember as kids. The real ones eat pesky bugs like white fly & aphids so real gardeners welcome lady bugs. 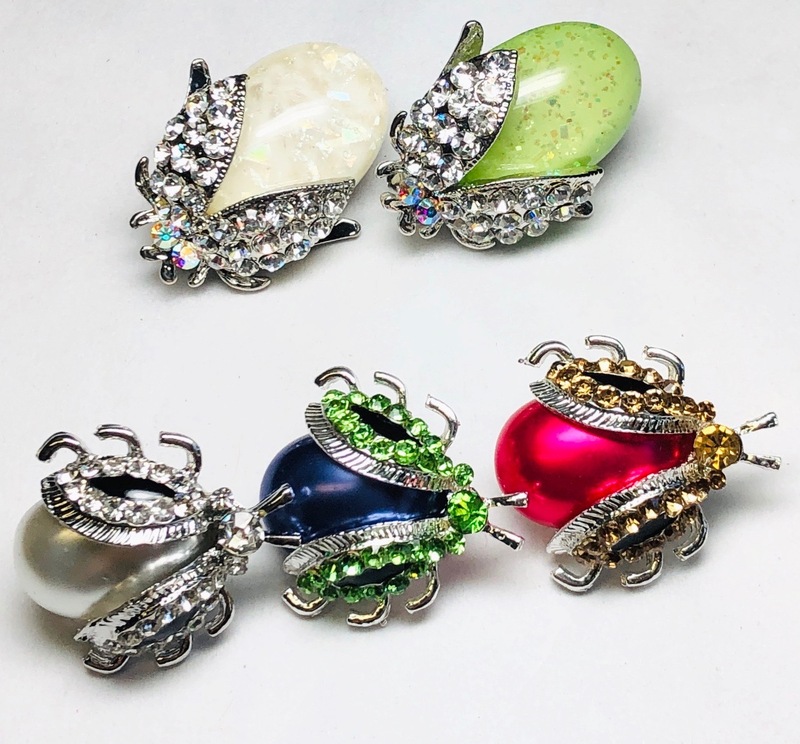 These jeweled bugs are quite detailed and vibrant in their color and rhinestones. As far as true color, the red is more fuchsia pink and the blue more purple violet, very much Easter colors. At 1.25″ and almost 1.50″ long, they really make a statement. You will love them. If a ladybug lands on you its good luck. Some cultures believe that whatever she touches will be improved. 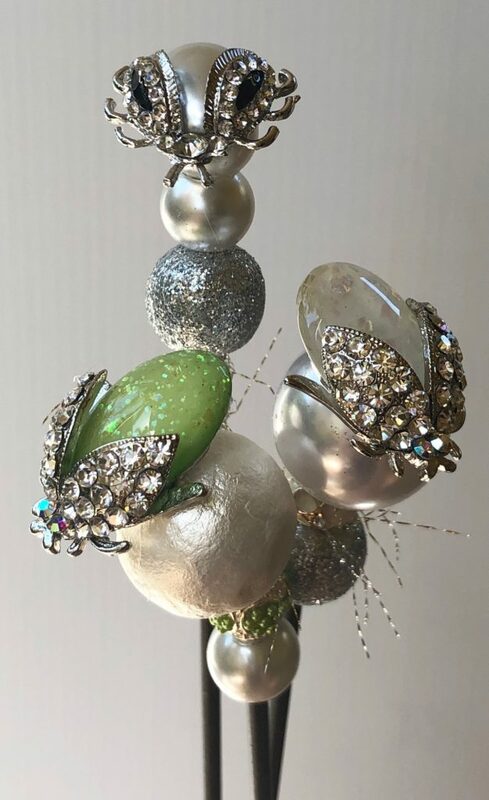 When the ladybugs are loaded onto the Botanistix.com website (photographer is away) they will be priced at 35. and 38.00. If you need one right away, please email me. If we can make life easier for you by sending Botanistix for Valentines Day, just reach out. Botanistix wants to see how you display and use your stix. Send a photo and we will send you a coupon good for 5.00 off your next purchase. SW Floridians, orchid classes have resumed. Botanistix.com has the class details. Come spend time with like minded people where we all learn from each other. Previous PostI’ve Shown You Mine, Now Show Me Yours!